This Intercooler is a Perfect Solution if you are going to use the OEM Intake Manifold. The Wagner Tuning Evolutionlution Intercoolers are CAD Designed and Flow tested for each vehicle to produce maximum cooling with minimum pressure loss, resulting in the greatest amount of horsepower and torque from your S2 / RS2. The Wagner Tuning Evolutionlution Intercoolers are Constructed of the highest quality Bar and Plate intercooler cores combined with cast aluminum and then CNC end tanks for reliable high performance air to air charge cooling. 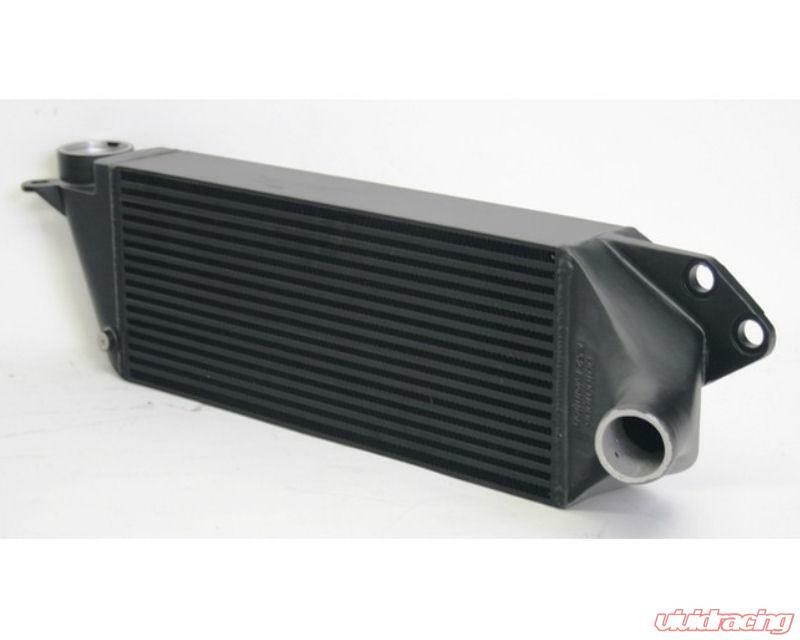 The Intercooler is designed as an OEM Fit and finish for easy installation, this is the maximum size of intercooler that can be installed under the OEM S2 or RS2 bumpers. No cutting required!